There are so many great ramen places in Singapore. 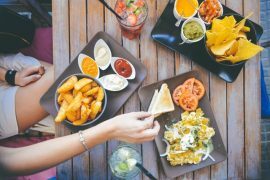 Out of all the delicacies to love about Japanese cuisine (think fresh sashimi, crispy golden tempura, gyoza), Japan seems to be best known for its noodles which take the form of ramen, udon or soba. 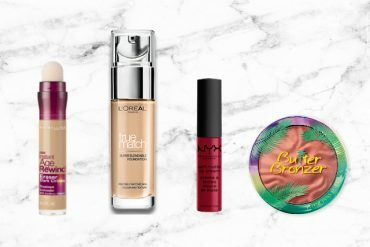 Each has its own texture and is served tastefully in a different way. Singaporeans, in particular, love their ramen. If you’ve ever been at a loss for dining options when hanging out with your friends, chances are you would’ve ended up at a ramen place! With such a wide spread of ramen places in Singapore, how do you know which are the best ones? 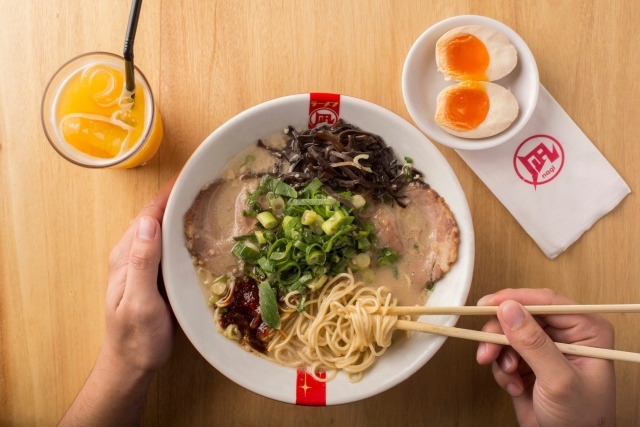 Fret not Shopeeholics, we’ve curated a list of the best ramen places in Singapore for a slurping good time! This legendary restaurant carries a long history, beginning with Founder-Chef Ikuta Satoshi’s first days as a chef in a hole-in-the-wall ramen house in Fukuoka, Japan. Chef Ikuta rose to fame with his exceptional skill and creativity in handcrafting a different type of ramen every day of the year! 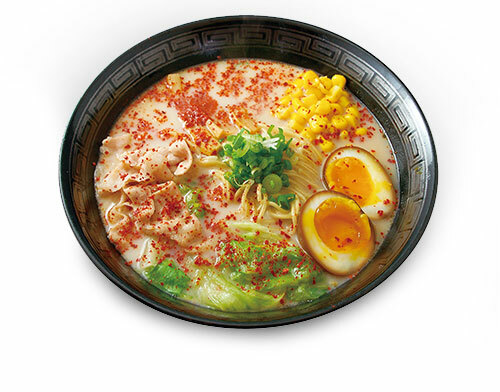 Following the same tradition, Ramen Nagi offers customisable high-quality ramen that’s sure to satisfy any customer. Ramen Nagi’s Original Butao King is arguably one of the best ramen dishes in Singapore! 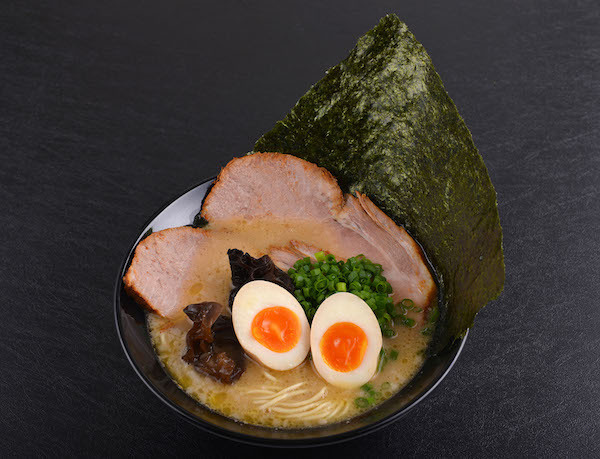 It boasts a strong tonkotsu flavour that’s sure to impress and comes with the option of either pork shoulder or pork belly slices, both of which are incredibly soft and tender. Long queues are a mainstay at this ramen place in Singapore, so be sure to head there before the peak hours. You’ve definitely heard of Keisuke — the brand name that has become almost synonymous with quality ramen places in Singapore. Their Tonkotsu Ramen, paired with toppings such as Japanese Seaweed and Flavoured Egg, is a classic that you’ll never grow tired of. 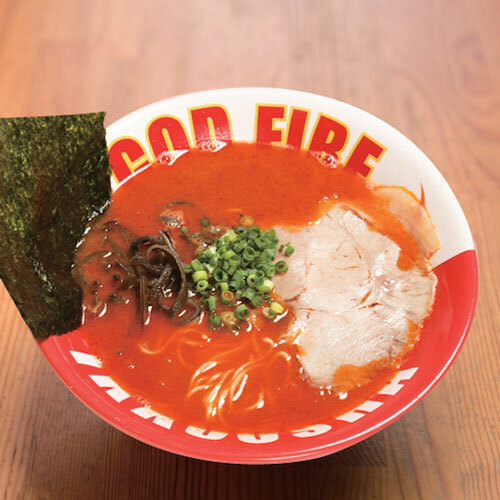 If you’re feeling adventurous, the Red Spicy Tonkotsu Ramen is one to try! Tori King is another well-recognised ramen place in Singapore under the same group. 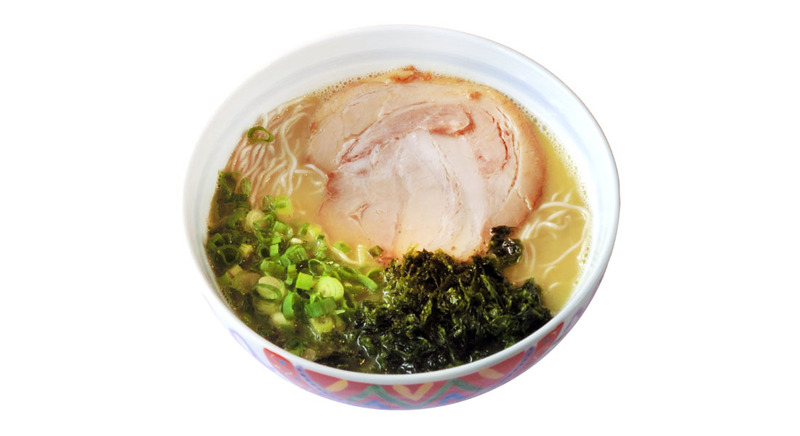 The key element of their ramen is the large juicy chicken thigh that is included in all their ramen dishes. Tori King is bolder and more experimental with their offerings, with dishes like Chicken Broth Ramen to Tan Tan Mien and even Green Spicy Ramen. As a bonus, Keisuke Ramen outlets also offer free flow half-boiled eggs and seasoned bean sprouts as appetisers! Bursting with flavour and originality, the Volcano Ramen is a definite must-try. This specialty ramen comes in five different flavours– Karamiso (spicy miso), Kaisen-shio (seafood), Shoyu (Japanese sauce), Tomato and Curry. The claypot-like bowl is preheated to a whopping 300°C! Once served, you’re expected to pour your hot soup base into the bowl and cover it instantly with a conical lid for one minute. After which, you’ll see smoke emitting from the top of the lid, mimicking the experience of a volcanic eruption. The ramen is then meant to be mixed and poured into smaller bowls for you and your friends to enjoy together! Tonkotsu Kazan also prides itself on its thick broth, balanced out with a friendly variety of vegetables including carrots, cabbage and bean sprouts and complemented by thick, chewy noodles. If you’re looking for a deliciously comforting ramen place in Singapore that’s also Instagram-worthy, Tonkotsu Kazan is definitely worth taking a plunge with! 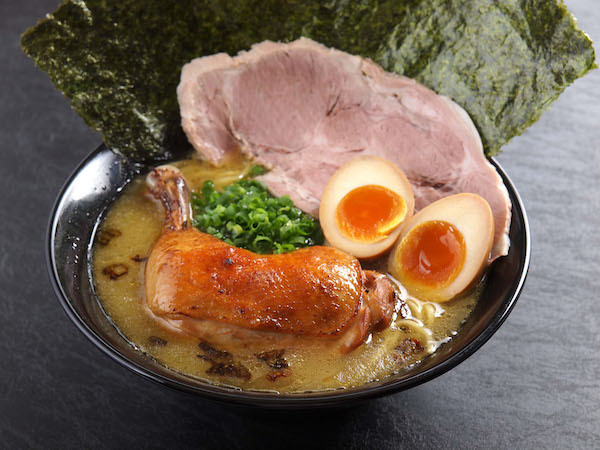 Known as the first ramen place in Singapore to offer chicken broth, Marutama Ramen earns a well-deserved place in this list of ramen places in Singapore. One of its best-selling items is the Aka Ramen, also known as the “nut ramen”. Containing seven kinds of ground nuts, the Aka Ramen makes for a fragrant broth with a tantalising nutty flavour. Add on an Ajitsuke Tamago (half-boiled egg) and the set is complete. Marutama is world-renowned for its tamago, having won several awards for it in Japan. As you bite into the soft egg white, its deliciously rich, runny yolk flows into your mouth, seasoned in aromatic soy sauce — yumm! However, take note that Marutama serves thinner noodles as compared to other ramen places in Singapore, which may not be for everyone. For the ramen lover who’s looking to try something unique, Tampopo may be the choice for you. With outlets at Liang Court and Takashimaya, this renowned Japanese restaurant serves both Sapporo-style ramen from Hokkaido and the more commonly enjoyed Kyushu-style ramen. 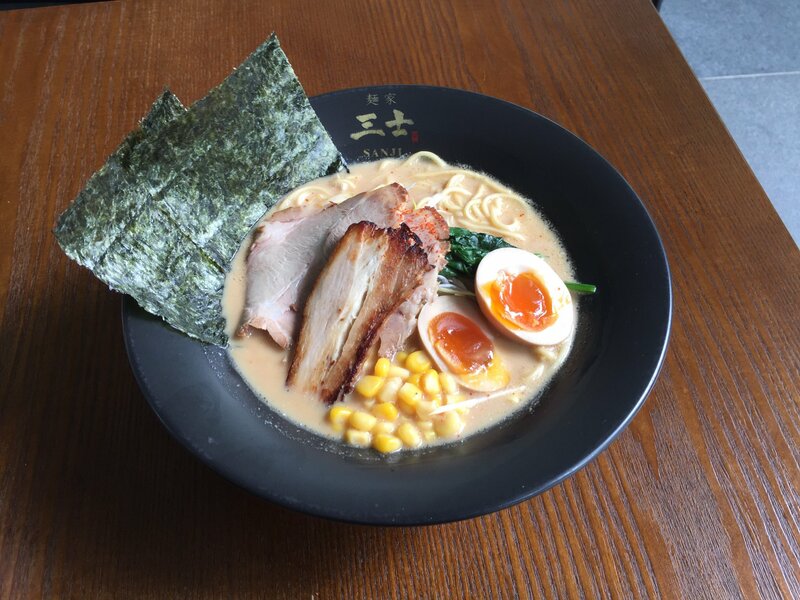 Sapporo-style ramen consists of a lighter miso soup base and includes toppings such as sweetcorn and bean sprouts which make for a refreshing bowl of ramen. On the other hand, the straight-noodle Kyushu-style ramen typically consists of a richer pork-bone broth steeped in flavour. Apart from its diverse offerings, Tampopo is lauded for its Black Pig Tonkatsu Ramen and Black Pig Shabu Ramen. Together with its garlic broth, each spoonful leaves a lingering fragrance on your tongue that will have you craving for more. This is another one of the few ramen places in Singapore that offer free flow eggs, so if you love tamago, be sure to check them out and eat to your heart’s content. 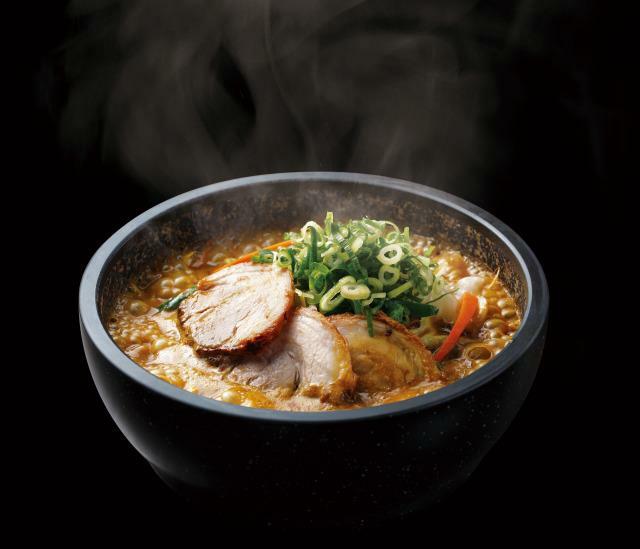 Their signature Tonkotsu Ramen provides a warm full-bodied broth that envelopes your taste buds. Ikkousha’s broth is satisfyingly rich as it’s made from simmering pork bones in low heat for over 12 hours to give it a rich, smooth texture, complemented by their springy noodles. If you love spice, give their Spicy Tonkotsu a go — it packs heat and flavour in every mouthful. If you’re getting a side dish, try their Hitokuchi Gyoza. Crispy on the outside and soft and juicy on the inside, Ikkousha’s gyozas truly live up to Japanese culinary standards. If you’re looking for the best chewy ramen place in Singapore, you definitely won’t want to miss Menya Sanji! They serve up thicker and chewier noodles than other tonkotsu ramen places. Their secret to this? Rice cake powder! If you want to try something unique to Menya Sanji, their speciality Sanji Ramen is a must-try! It has a thick, creamy texture with a less salty broth. The broth is made using pig’s head, which is simmered for many hours in replacement of pork bones used in most other restaurants. 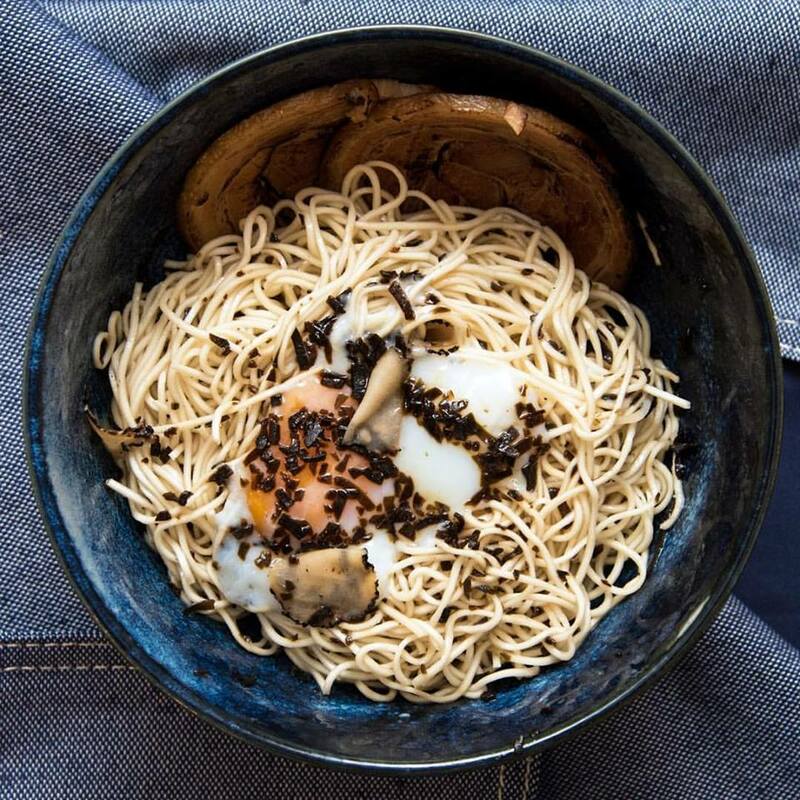 Paired with fried shallots, black fungus, and crunchy bean sprouts, this ramen is sure to become your personal favourite. Everyone knows the best part of good ramen is its broth. Right? Well, perhaps not. Try a vibrant bowl of mazesoba (mixed dry ramen) at Kajiken, Singapore’s first dedicated mazesoba ramen store. 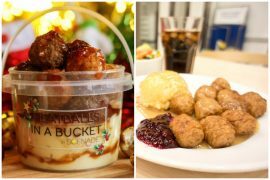 Whipped up by the same team behind Ramen Matsuri, this store offers Braised Pork, Deep Fried Chicken and other tantalising variations that are only possible with dry ramen. 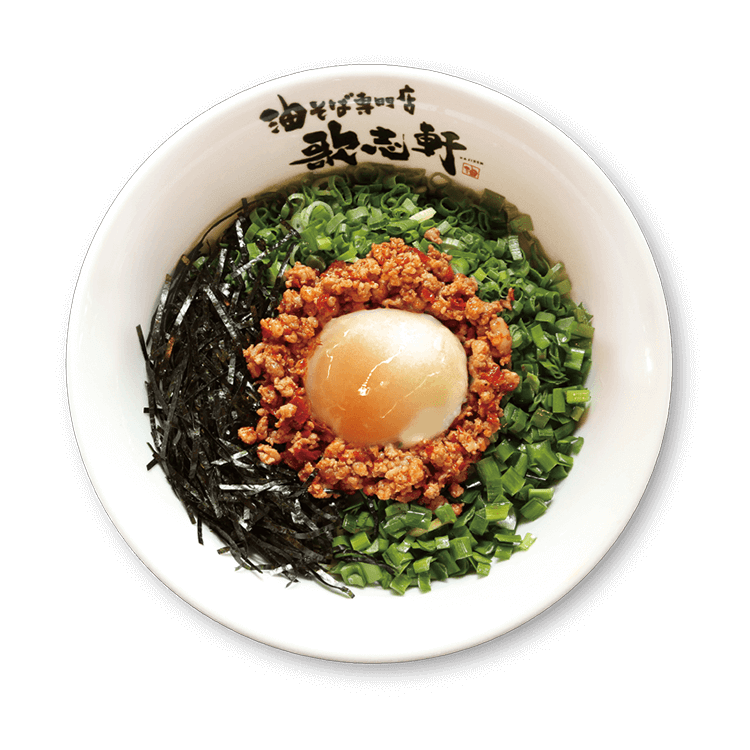 If you like flavourful ramen, you’re going to love their Mazesoba Nogaya Style ramen, which features a delightfully wobbly onsen egg, spicy minced pork and freshly chopped spring onions. To top it off, each bowl of dry ramen comes with a cup of irresistible chicken broth which you can sip at the beginning of the meal or between bites. The best part? Kajiken offers a free 1.5 times upsize option and a free bowl of rice at the end of the meal. Army boys, we recommend fueling up at Kajiken! If you enjoy dry ramen, Kanshoku takes it a step further with its truffle dry ramen. Infused with the alluring aroma of truffle oil, the thin noodles are a Japanese incarnation of the French truffle angel hair pasta. The shaved black truffle adds to the fragrance, which diffuses temptingly as you toss the noodles with your chopsticks. Take one bite of the blow-torched chashu slices and you will find that they are sinfully charred and oh so delicious. Alternatively, you can also try the Black Garlic Ramen or Spicy Tonkotsu Ramen which will deliver quite the kick. With both dry and traditional ramen and a wide variety of palatable flavours, Kanshoku is definitely one of the best ramen places in Singapore to bring your friends to. Have you tried these ramen places before? Which was your favourite one? Leave your comments down below and let us know! Or, if you’re craving for some Japanese noodles you can whip up at home on a budget, check out our list of Japanese instant noodles that you absolutely have to try — ramen is just too good to be enjoyed only on special occasions!